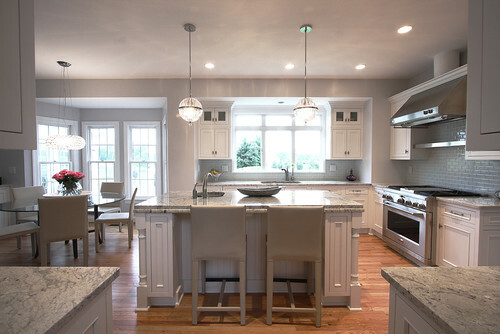 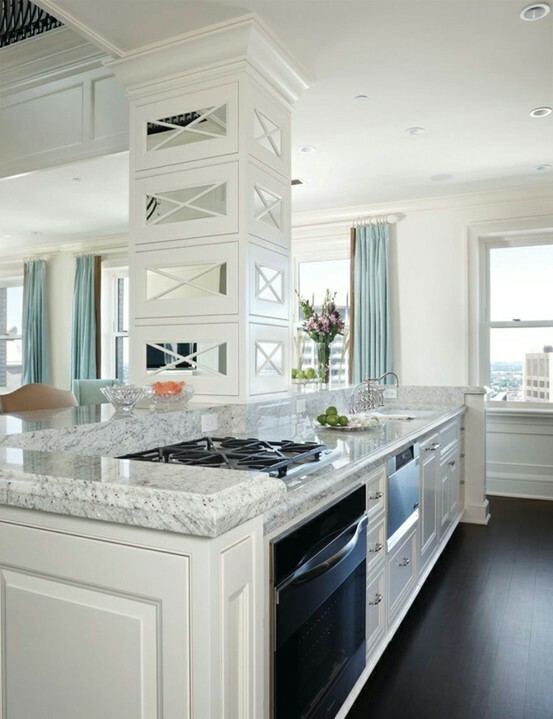 A lot of people think that white kitchens have to have white marble for the countertops. Not true! 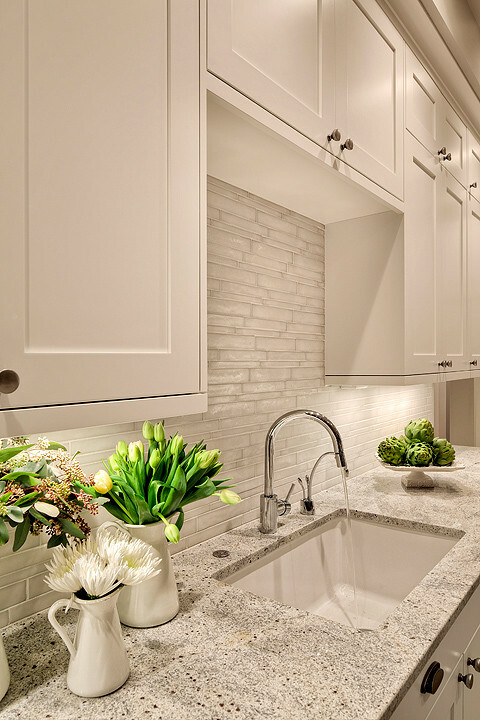 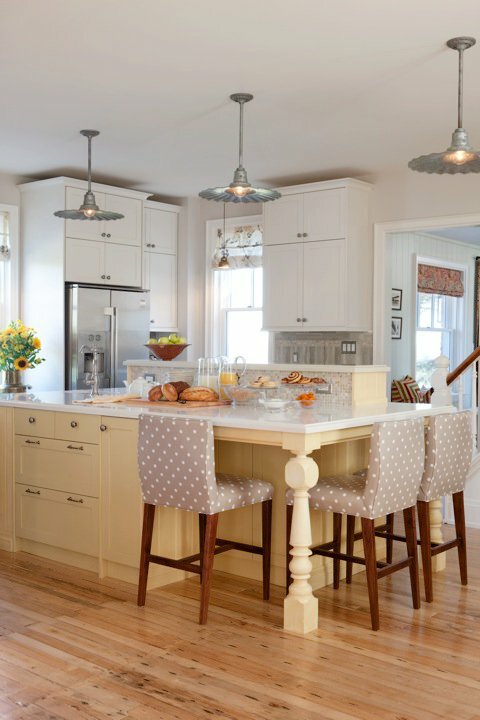 There are quite a few really great options for white countertops that are granite. 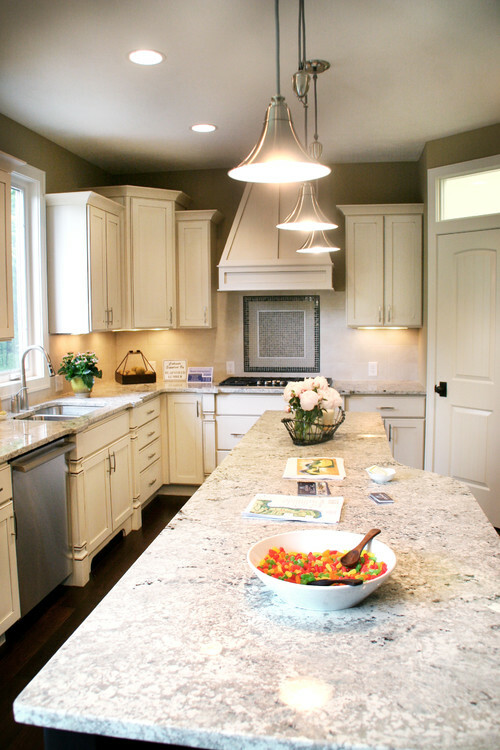 I have five really beautiful white kitchens to show you today all with white granite countertops. Alternate to White Marble in Kitchens.